We welcome in Mexican-born artist Rorro Berjano as showcase select works from his ongoing ceramic series Santos, Difuntos, Dieux te Fetiches. 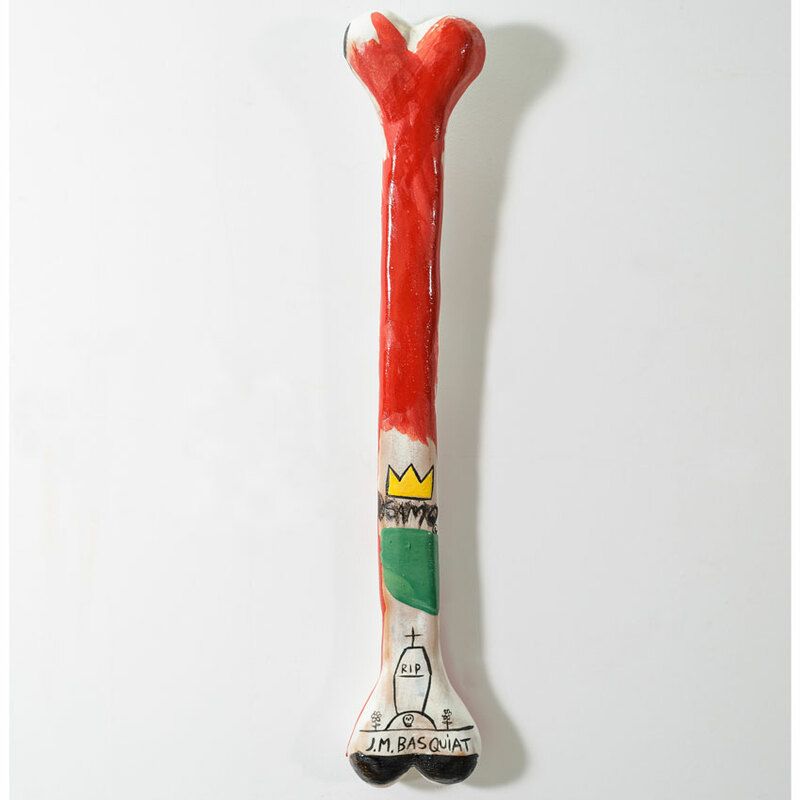 Read on as Berjano gives us an in-depth look at these ceramic works which explore the various influences with homages to Basquait, Notorious B.I.G. Wild Style and graffiti culture at large . . . This piece of original artwork is signed by Rorro Berjano and includes an Original Artwork Letter of Provenance from 1xRUN. Rorro Berjano is an artist who has always opened new lines about the initiatory experiences that kept him in touch, from the plastic and object possibilities, with the Afro-Cuban ancestral culture and with the social atmosphere he observed in his progressive approach to religious syncretism and idiosyncrasy Caribbean. A particular approach that is nourished by numerous elements that coincide in stating, firmly, a high and transcendental positioning around different formal precedents such as street art, contemporary popular culture and primitivist aesthetics, filtered by the juxtaposition of ideas and records Pictorial close to the current collective imagination. His creative commitment, categorically, manifests a hypernarramatic palimpsest of coherence and phenomenological determination of folklore, as well as the risks that bring them closer to the anthropological poetics of knowledge. Follow Rorro on Instagram @rorroberjanostudio , Twitter @rorroberjano & Facebook.